Never knowingly out-blinged, gaucho founder and Martin Williams has launched a new offer at his chain of M Restaurants in London; a shot of Cognac for £2,514. Did we say shot? We meant 10ml. 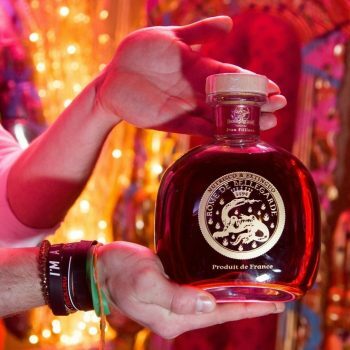 This is no ordinary Cognac. Produced by Le Domaine de Rome de Bellegarde, the 1894 L’Eveil des Sens Cognac is made from four eaux de vie, all aged over 70 years. Only 67 bottles were ever created, with the spirit this year entering the Guinness Book of World Records after a 40ml measure was bought for £10,014. From 27 November, guests at either the Victoria or Threadneedle sites of M Restaurant will be able to purchase either a 10ml shot for £2,514, or a one-litre decanter, a steal at £250,000.